XWA Hot Springs Retreat. 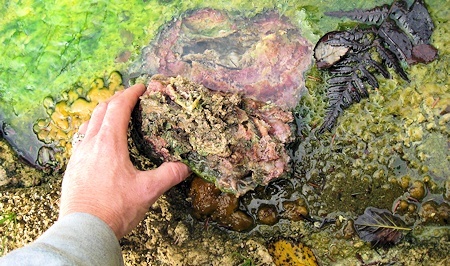 A Natural Undeveloped Hot Springs in the British Columbia Wilderness. 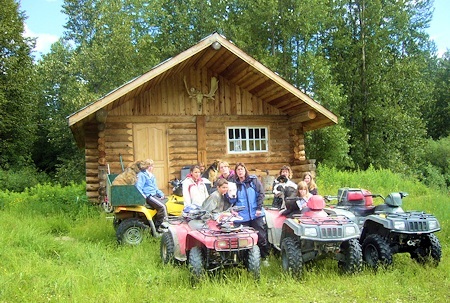 Lodging and Wilderness Tour Packages. XWA Hot Springs Retreat is located in North Central British Columbia, on Sentinel Mountain, between the Anzac and Table River Watersheds north of Prince George. It includes 2 rustic cabins set at a natural undeveloped hot springs, in an unspoiled remote wilderness location. 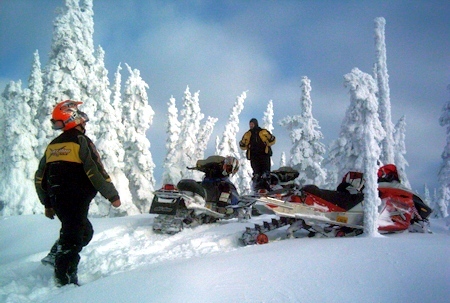 XWA provides all inclusive remote wilderness tours both summer and winter. But, what makes us unique is the natural hot springs and the privacy of its remote location. We think you will find the experience unique and unspoiled. Mineral-rich and naturally heated, the waters of XWA Hot Springs can increase metabolism, accelerate healing, soothe muscles, improve blood circulation and detoxify the bodys lymphatic system. Soaking in the hot springs allows minerals to pass through your skin and be absorbed and utilized by body cells. This can fight the effects and symptoms of fatigue, insomnia, edema, poor micro-circulation, repressed immune system and even arthritis. All-inclusive tours consisting of accommodations, meals, ground transportation and sight seeing from various different locations. People will have the opportunity to see some of the last remaining true wilderness in BC. 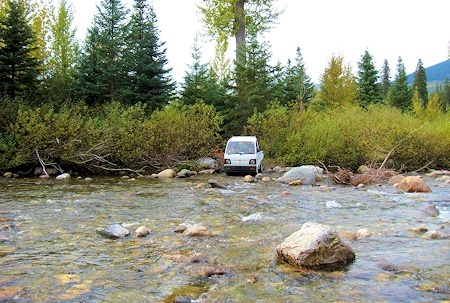 Remote wilderness adventure tours give people a chance to get away from all the hustle and bustle of their daily lives and see some of natures untamed wonders in their own habitat. Moose, Grizzly, Black Bear, Lynx, Wolves, Trumpeter Swans, and Bald Eagles are just a few of the animals that can usually be seen and photographed throughout this area. 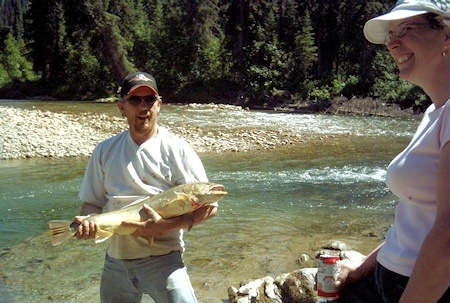 If you like to fish, record Dolly Varden (Bull Trout), Arctic Char, Rainbow Trout and Fresh Water Ling Cod can all be found in the crystal clear lakes and streams. 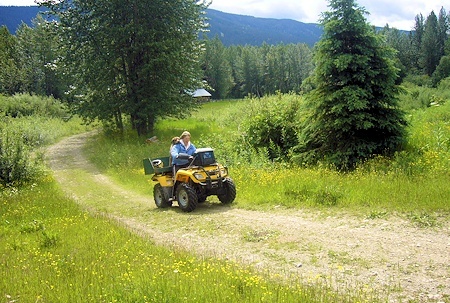 Summer tours may include ATV tours, fishing, bike riding, hiking, wildlife viewing, sightseeing, huckleberry/blueberry picking, mushroom picking and grizzly bear spotting. Bear Country: We have to remind people that we are in the heart of grizzly country so safety is priority. Your guide will be carrying a gun for protection at all times. At the end of the tour, you will be at a natural hot springs where you can kick back and enjoy the peace and quiet, and afterwards, try some of the activities offered, depending on the time of year. Do as little or as much as you want. Its totally up to you. Base Camp: At this time – Located in Bear Lake – A three bedroom house with complete facilities for customers and caretaker. Hot Springs Camp: Two 406 sq. ft. cabins at this time. As we are developing this resort, we invite our guests to participate in the daily activities around camp as well, which includes cutting trail, getting firewood, building more cabins on location, etc. We can always use an extra pair of hands.